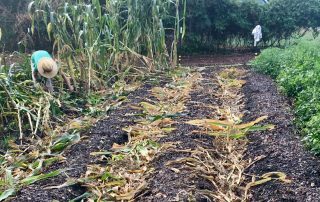 As we’ve written about elsewhere, we’re big advocates of no-till organic gardening and farming methods. These methods minimize soil disturbance, meaning the vast ecosystems of life underneath your feet don’t get destroyed each season when you till. 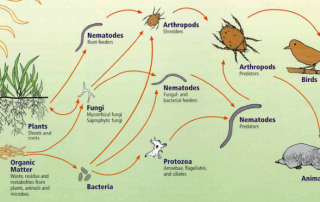 Instead, the soil ecosystem continues to develop and build. May 2018 Tip of the Month: Leave the roots from your old garden plants in the ground to help feed soil organisms, increase soil organic matter, and grow healthier plants in the future!